Their songs have been penned by such historic songwriters as Jerry Leiber & Mike Stoller, Carol King, Jerry Goffen and Phil Spector. They have played at the White House on 3 different occasions, gave a benefit concert in Berlin the day the wall fell, performed for the Pope, the Queen of England, Nelson Mandella and toured the world for the USO in 3 different war zones from Korea to Iraq. And behind it all was George Treadwell and his family, guiding the career of this historic group. Multiplatinum, Rock and Roll, Vocal Group and Grammy Halls of Fame member, The Platters, were originally comprised of founder and naming member Herb Reed, Tony Williams, Paul Robi, Zola Taylor and David Lynch. In 1955, the quintet crashed through the racial divide that existed in the United States paving the way for them to become one of the preeminent vocal groups of all time. The Platters debut hit single “Only You (and You Alone)” that launched the vocal group as superstars on the world stage was actually done in error. A popular US DJ named Alan Freed accidentally played their Mercury Records single on-air during a "prime" time that was traditionally reserved for "white artists." The ballad, based on the then groundbreaking Tin Pan Alley sound, became an instant hit with the public and would eventually reach number five on the Pop charts thus igniting the sound of rock and roll as we know it today. Soon after their debut at the top of the charts, The Platters released “The Great Pretender,” which propelled them to number one, providing the launch pad for their meteoric rise as crossover artists. As a result, they became the first African American group to achieve international superstardom. Both tracks have since been declared songs of the 21st century by the Grammy Music Hall of Fame. With classics such as "The Great Pretender," "Only You" and their rendition of "Smoke Gets in Your Eyes," The Platters became one of the greatest vocal groups of the early rock and roll era. 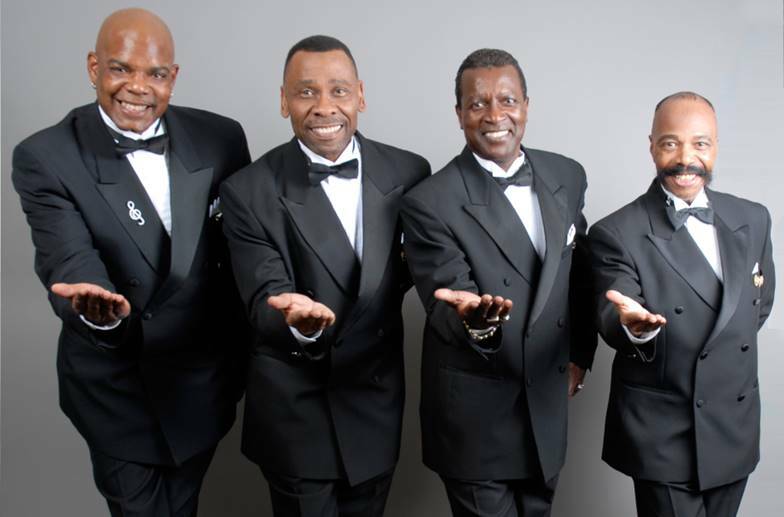 Under the guidance of their producer Buck Ram, the Platters churned out hit after hit during the mid-late ’50s and ’60s, bridging the gap between more traditional vocal-group stylings and the popular R&B grooves of the early ’50s. Their sound was unique, highlighted by lead singer Tony Williams' powerful vocals and the feminine touch of singer Zola Taylor. With Ram's pop songwriting classics as their musical palette, the group quickly became a pop and R&B success, eventually earning The Platters the distinction of being the first black act of the era to top the Pop charts. Considered the most romantic of all the early rock and roll groups (that is, the ultimate in "make out music"), hit after hit came tumbling forth in a seemingly effortless manner: "Only You," "The Great Pretender," "My Prayer," "Twilight Time," "Smoke Gets in Your Eyes," "Harbor Lights," all of them establishing The Platters as the classiest of all the early rock and roll groups. Although competing versions of so-called Platters groups confused the public for many years, the last in a series of contemporary U.S. federal court cases that began in 2010 resulted in a court order that Reed had superior rights above all others to the group's iconic name. 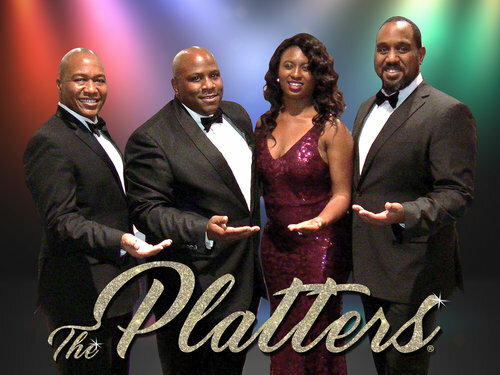 These actions solidified his ownership, performance and other intellectual property rights of The Platters trademark. As a result, a list that once numbered in the hundreds of imposters or great pretenders that deceived the public by claiming to be or have an affiliation with the legendary group have finally been stopped. The Platters vocal evolution continues to this day through the crisp, vocal stylings of members Wayne Miller, Adele “DD” Galinda Martin, Kenny Williams, Lance Bernard Bryant all under the musical direction of Michael Larson. 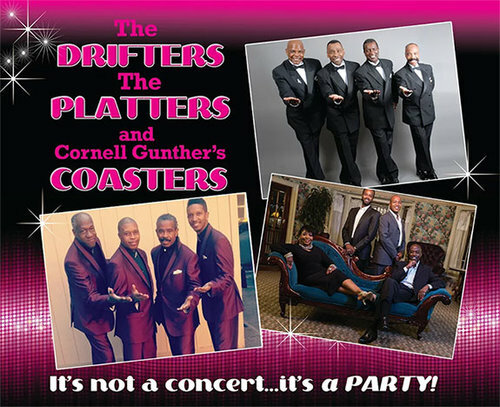 The talented vocalists who comprise today’s touring group continue to open the hearts and minds of new generations of music consumers to the rich vocal and historical tradition that is The Platters -- making their timeless melodies relevant to all ages of worldwide fans. 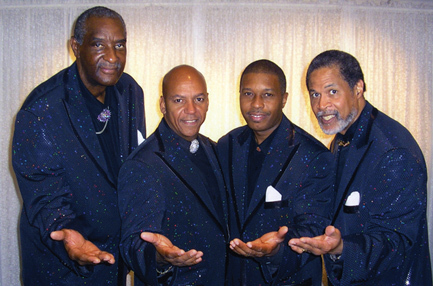 The Coasters are an American Rhythm & Blues and rock ‘n’ roll vocal group that had a string of hits in the late 1950s. Beginning with “Searchin” and “Young Blood”, their most memorable songs were written by the songwriting and producing team Leiber and Stoller. Although the Coasters originated outside of mainstream doowop, their records were so frequently imitated that they became an important part of the doo wop legacy through the 1960s. The Coasters' hits also comprised a major portion of the song score for the 1994 musical revue Smokey Joe’s Café, a retrospective of Leiber & Stoller songs that received one Grammy Award and seven Tony Award nominations following its 1995 Broadway debut. From “Yakkety Yak” to “Charlie Brown” to “Poison Ivy”, these monumental songs helped induct The Coasters into the Rock and Roll Hall of Fame in 1987.